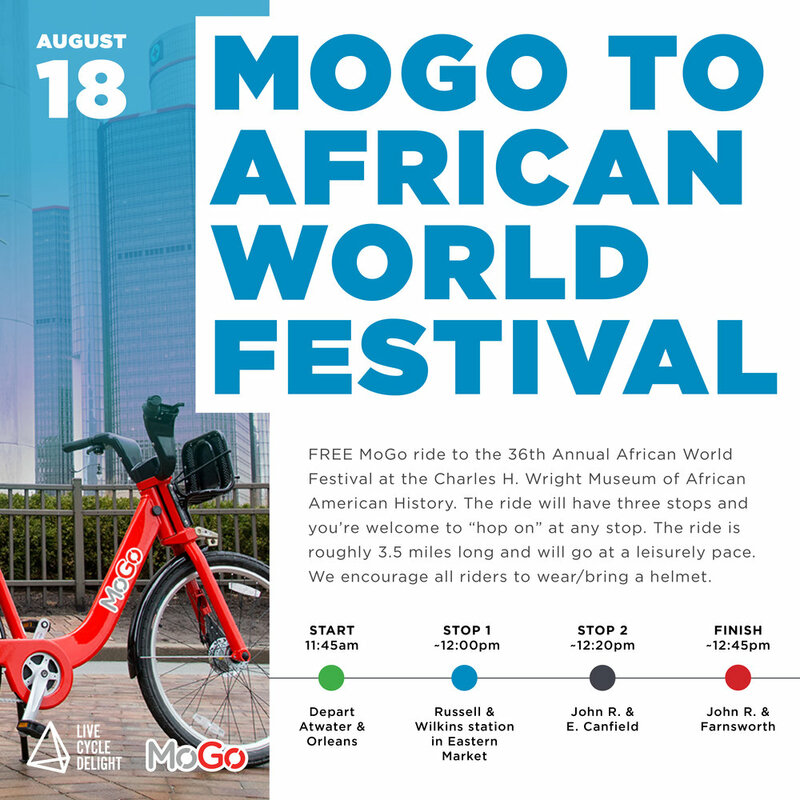 Join Neighborhood Ambassador Amina Daniels for a FREE MoGo ride to the 36th Annual African World Festival at the Charles H. Wright Museum of African American History. The ride will have three stops and you're welcome to "hop on" at any stop. Starting riders will meet at the Atwater & Orleans station at the south end of the Dequindre Cut at 11:30am! Start (11:45am) - Depart Atwater & Orleans. Stop 1 (roughly 12pm) - Russell & Wilkins station in Eastern Market. The ride is roughly 3.5 miles long and will go at a leisurely pace. We encourage all riders to wear/bring a helmet.